Join us for a new series of “Opera University” discussions at the Opera Center! Director of Education Cody Martin leads a series of informative, engaging, and interactive sessions, aimed to help you learn more about opera and how it all comes together. First up this year, we’ll talk about how a production makes it to the stage, all the way from the initial planning to the final bow. Learn how seasons are planned, how auditions and casting work, and how sets are built and designed.  This will be a multimedia presentation that’s sure to give you great insight into how Pensacola Opera is able to create magic on the stage. As always, Opera University events are FREE.